A bit belated, but here is the summary of the #TubulesLive event that was held a few weeks ago with the charismatic and funny David Gerdolle. 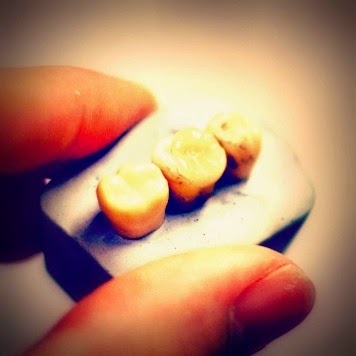 So are bonded restorations safe? Bonded restorations require flat preparations but does this compromise the lifespan of this sort of restoration? Here I shall summarise the points from Dr Gerdolle's talk. The difference is not the lifespan, but what happens when the restoration fails. Dr Gerdolle's presentation was of fantastic quality and he was very engaging despite having spoken for the majority of the day. He really helped me to understand this biomimetic approach to restoring heavily restored teeth. Do you use this sort of approach when providing patient's with indirect restorations? Or used hot composite before? Please leave your comments in the section below!